Previous studies of people and rats have found that the natural mix of microbes in the intestines changes after gastric bypass, with some groups growing more prominent and others diminishing. No one knew whether the altered microbial composition was merely a side effect of the surgery, or if shifting bacterial populations could help generate weight loss. 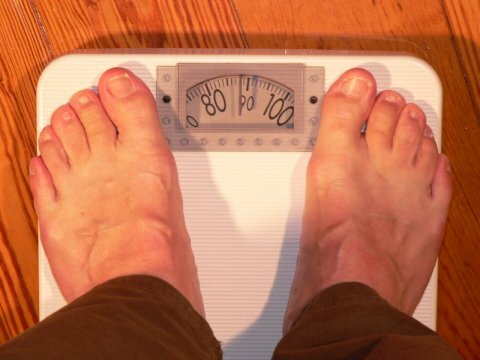 Well, a recent study was published that indicates at least some of the weight loss experienced by gastric bypass patients is attributable to the microbes. Alice P. Liou and her colleagues studied the effects of Roux-en-Y gastric bypass on mice. They overfed mice until they were all overweight. They then performed the mouse equivalent of Roux-en-Y gastric bypass surgery on some of them and a similar surgery that didn’t actually alter the stomach or intestine on the others. When they compared the mice with the real gastric bypass surgery to the ones with the fake one, they found that the mix of bacteria in the intestines was different. The mice that had undergone the real surgery had higher concentrations of bacteria from the genera Escherichia and Akkermansia. In addition, those that went through the real surgery had lost about 30% of their body weight within three weeks. Now, of course, there are a couple of things that have to be said about the study. First, it was done in mice, not people. Thus, it’s not clear that this translates directly to human beings. However, the mouse model is a pretty good model of the human digestive system, so it stands to reason that it should translate, at least to some extent. Second, the mice that received the bacterial transplants were raised in germ-free conditions, so the recipients didn’t have any bacteria in their intestines to begin with. As a result, the transplanted bacteria didn’t have to “fight” any established bacteria in the mice intestines. I would think that any kind of bacterial transplant in humans wouldn’t be nearly as effective, since people have well-established intestinal bacteria. For me, the main thing this study does is emphasize the importance of the mutualistic bacteria in the intestine. As I have said before, mutualism is an amazing feature that seems to have been designed into the natural world. Indeed, I think it is probably a good picture of what the pre-Fall world was like – different species all working together for the common good. The more we learn about mutualism in nature, the more strongly it points to the Designer who put it all together! Did I miss something? The article doesn’t identify whether it was the increase or reduction of bacterial amounts that contributed to the weight loss. Or is one to assume that a smaller stomach means less bacteria? If that is the case, why the mainstream push for adding bacteria to our system? Lastly, by ‘fake’ surgery do you mean the lap band? Thanks for your questions, Krista. I am sorry I wasn’t clear. It’s not that the total number of bacteria went up or down. It’s that the populations shifted. The percentage of bacteria from two specific groups (Escherichia and Akkermansia) increased in the mice with the real surgery. So both sets of mice had roughly the same number of bacteria in them. However, the percentage of bacteria from each species changed significantly between the two groups. Bacteria aren’t really found in the stomach, as the acid in our stomach is not hospitable to them. The bacteria are found mostly in the small and large intestines. The fake surgery is a surgery that opens up the same part of the mouse, fiddles with the stomach and intestines, but doesn’t alter them in any way. After all, it’s possible that just being cut open can affect a mouse’s intestinal bacteria, so they did the fake surgery to make the mice that didn’t have a gastric bypass experience roughly the same trauma that the mice with a gastric bypass experienced. There was no lap band involved. Oops, I knew it was in the intestines. I had a momentary … well you know. Thanks for clarifying. So has a specific bacteria been identified in humans that if increased would assist with weight loss? I am happy to help, Krista. There hasn’t been a specific species of bacteria identified in humans that assists in weight loss. So far, only mice have been tested this extensively. Hi! I was wondering… if the bacteria does not live in or survive the stomach what happens to probotiocs that people eat. Do you swallow them and then they die in the stomach before making any difference in the intestines. Excellent question, Lindy! Bacteria have the ability to make spores (hard capsules that enclose the DNA and some vital chemicals) that can survive harsh conditions. As you eat bacteria, most of them die when they reach your stomach and get exposed to the acid. However, some are able to form spores. Those spores survive the stomach and make it to the intestine. Once they sense an environment that is conducive to growth, the spores open up, and the DNA and vital chemicals rebuild the bacteria. This is how you get all your intestinal bacteria. It starts as soon as you begin nursing, as your mother’s milk has a rich mix of bacteria that your body uses to populate the intestine. Now, having said that, I do have to say that most of the probiotics you eat don’t end up populating your intestines, because you already have an established community of bacteria there. As a result, it is very hard for introduced bacteria to find a place to live – every square centimeter of your intestine is already occupied. However, if you have recently taken a lot of antibiotics or have dealt with a bout of diarrhea, the probiotics are more likely to find a place to establish their population. In my mind, that’s when probiotics are really called for. Of course, I am not a medical doctor, so don’t take this as medical advice.